Lots of exciting events have corresponded with the coming of Spring in the science wing! From Earth Week to animal rescues, we have got it all! Earlier this year the Earth Science 11 class investigated climate change and the science behind it. 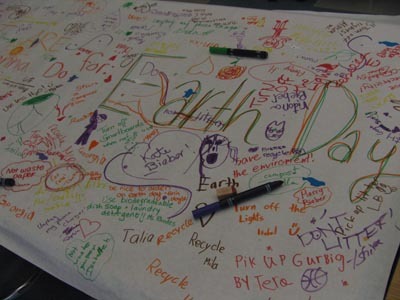 One student in the class ended up posing the question, “what can we be doing?” The students were then challenged to come up with an event that was environmentally focused, entirely student organized and would include the entire school. 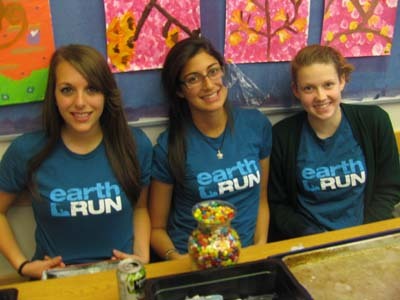 They ended up planning and running an Earth Day Fair for the junior and senior school. 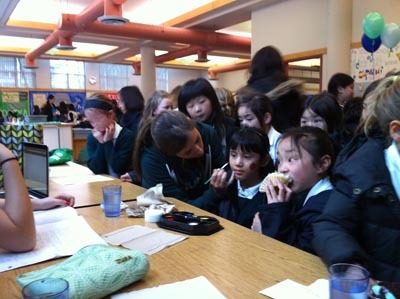 The event took place during lunch and was aimed at raising awareness for personal practices that can be done during, and following Earth Week. Examples of reusable bags, water bottles, how to conserve energy and water were provided. 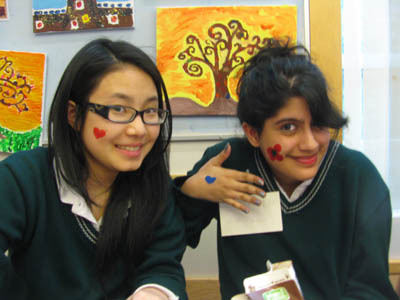 The added attraction of face painting and treats, by donation, helped support Earth Run here in Vancouver. 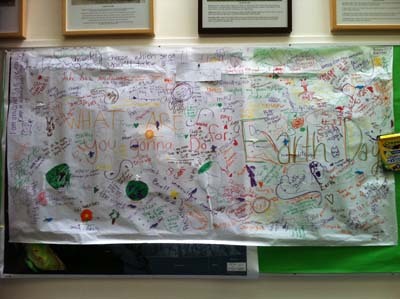 By the end of the fair we had a poster filled with signatures and action pledges describing what individual Yorkies were planning to do during Earth Week. Some examples included less time in the shower, unplug our cell phone chargers and using biodegradable soap. Overall it was a great success. Congratulations to the Earth Science 11 class of 2011! Continuing with the Earth Week trend, the Science Lab helped an animal in need. 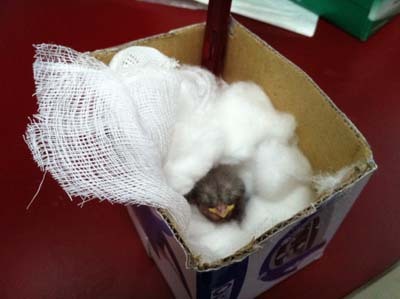 On Tuesday one of our PE classes came across a small baby bird that was no more than a week old. It had fallen from the nest and was motionless. It was brought to the science lab where it had a warm bed and protection from the elements. Luckily the bird was uninjured and healthy. The science department called Animal Rescue and we are happy to say the bird i salive and well! 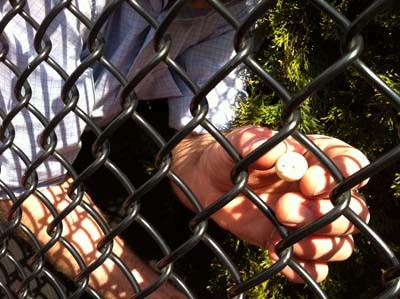 The nest was also placed back in the tree beside our field and the un-hatched eggs were retuned to the nest. Thanks to all involved! Previous PostPrevious Tigers Roar at Western Public Speaking Tournament!